The following information will make your trip to LEARNTEC quick and easy, wether you're travelling by car, public transport, rail or air. 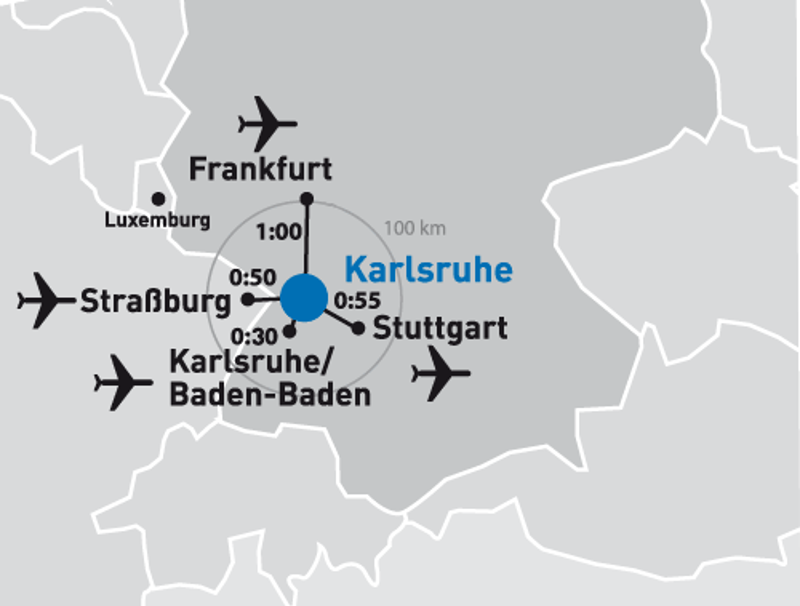 We provide a shuttle bus between Main Train Station Karlsruhe and Karlsruhe Trade Fair Center (Main Entrance). The journey lasts approx. 20 minutes. Here you can find the current timetable of the "Messe-Express". A complementary barrier-free shuttle bus service operates between the central railway station and the trade fair for the duration of the event. More information about getting to the trade fair grounds by public transport can be found here .